LIVE DJ & FREE T-SHIRT GIVEAWAYS THROUGHOUT THE EVENT! We’re kicking off Hoboken’s St. Patrick’s Day weekend with at the Friday night St. Patrick's Kickoff party. Forget solely Sunday St. Pat’s celebrations – let’s honor the Emerald Isle all weekend long. We’re dousing Lucky Hour with Irish cheer and flowing drinks, getting you ready for three days of lucky partying. March 15th is your new day to indulge in shameless shenanigans. 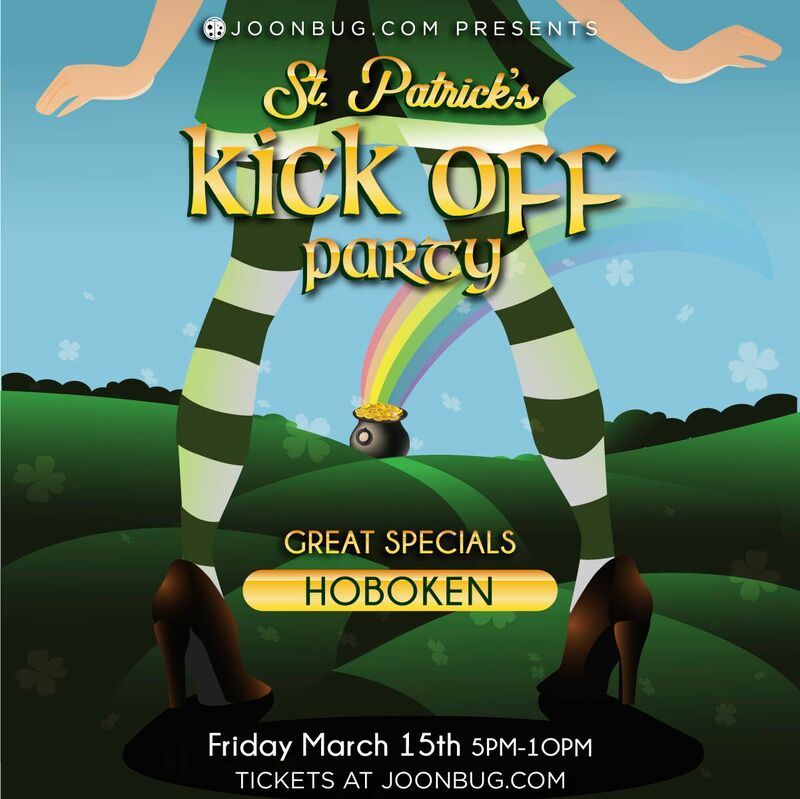 Give St. Patty an early cheers with a full pint and a happy crew at Hoboken’s Friday night St. Patrick's Kickoff Party.